Kind recently unveiled a website, “Sweeteners Uncovered,” that specifies what percentage of sugar is in popular brands of snack bars, cereals, granola and yogurt. The percentages range from the low single digits to 38% for Lärabar Peanut Butter Chocolate Chip Bar. Interestingly, while Kind registers the lowest in granola with 16%, it’s only tied for third-lowest in snack bars, at 13%. Atkins (3%) and Quest Nutrition (5%) come in lower. 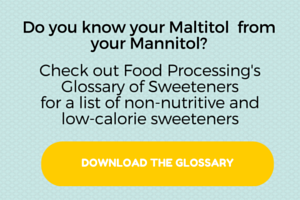 The site also features an interactive page that lists 99 different kinds of sweeteners, both natural and artificial, like sorbitol and agave. Kind’s initiative comes as increased attention is being paid to added sugars in the American diet.